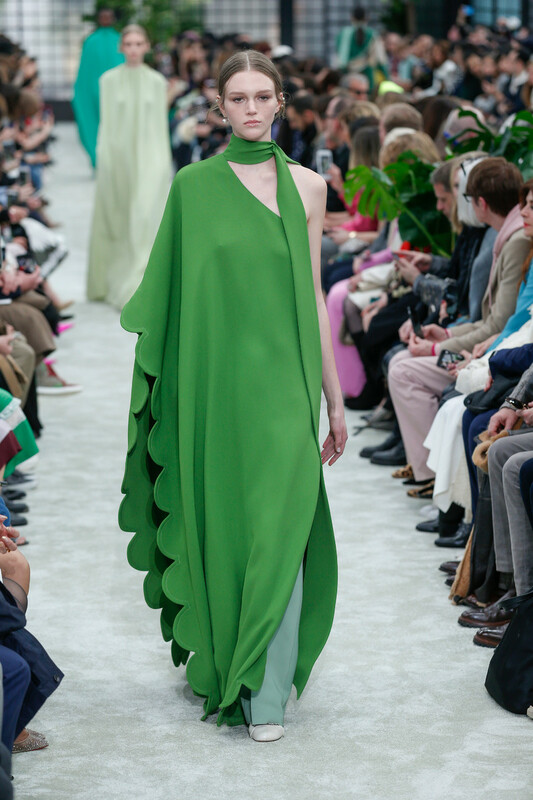 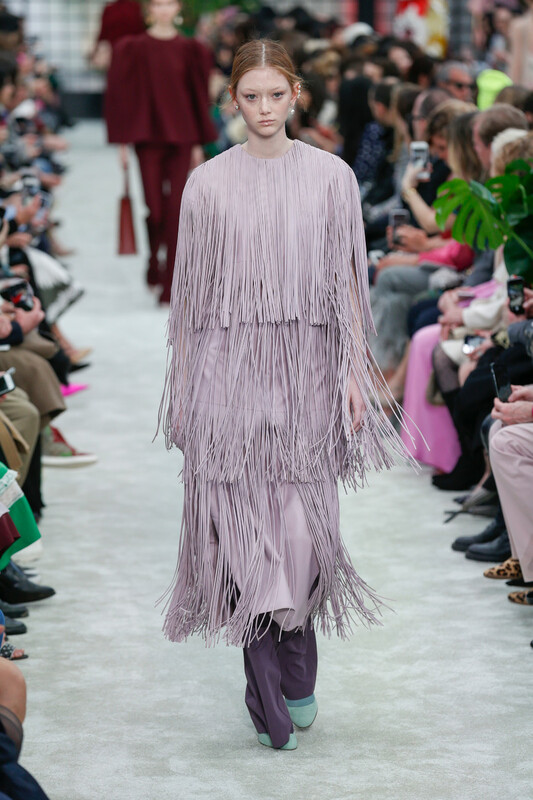 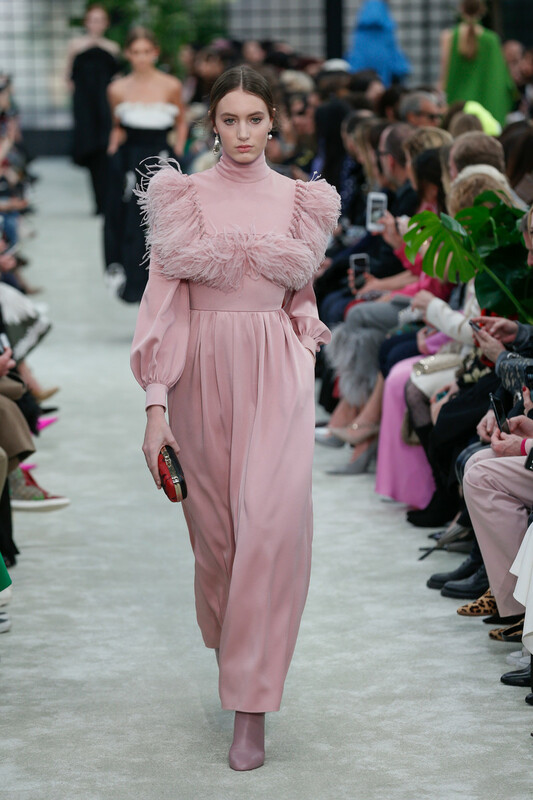 If you were to look up modern elgegancy images of Valentino’s fall/winter2018 runway would be popping up. 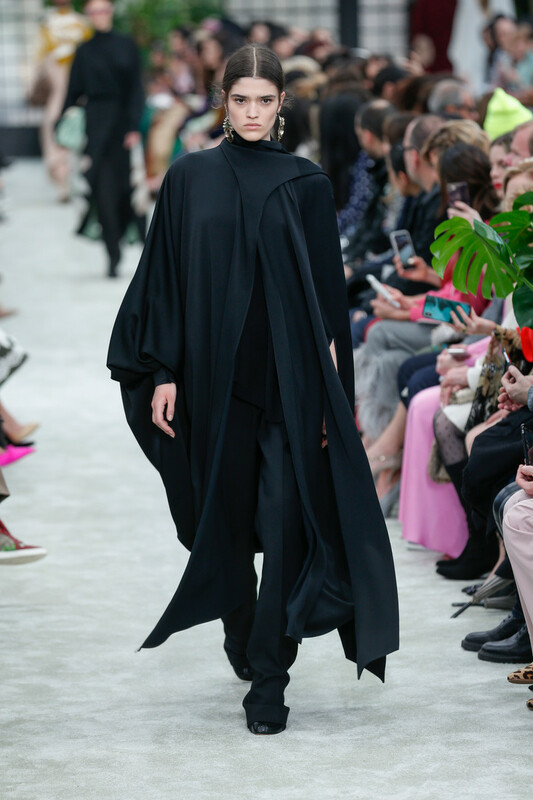 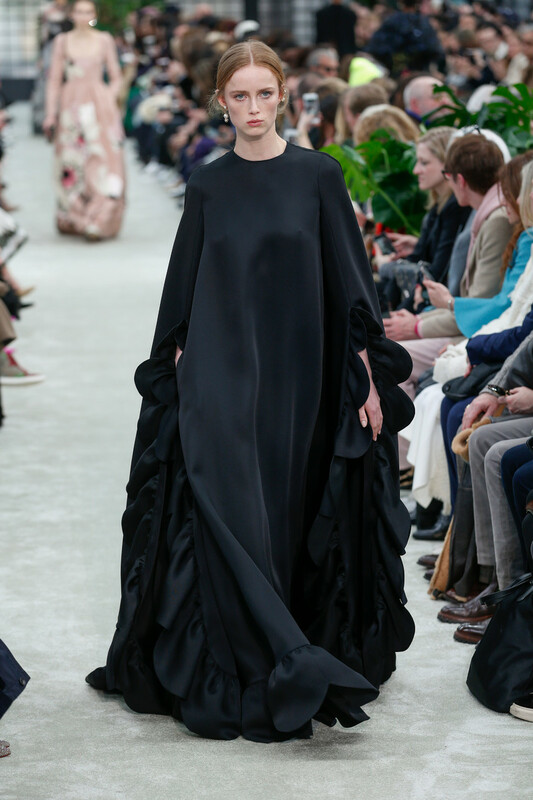 Pierpaolo Piccioli Romanticism collection as he called it was perfect in every way. 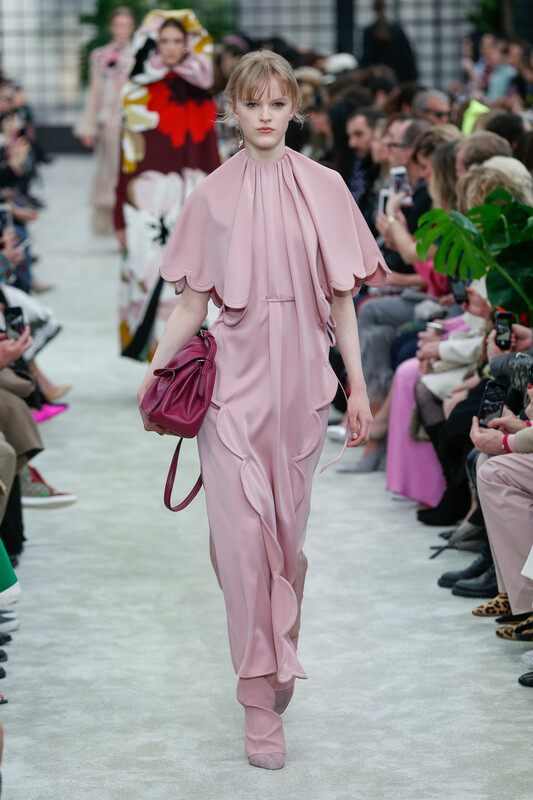 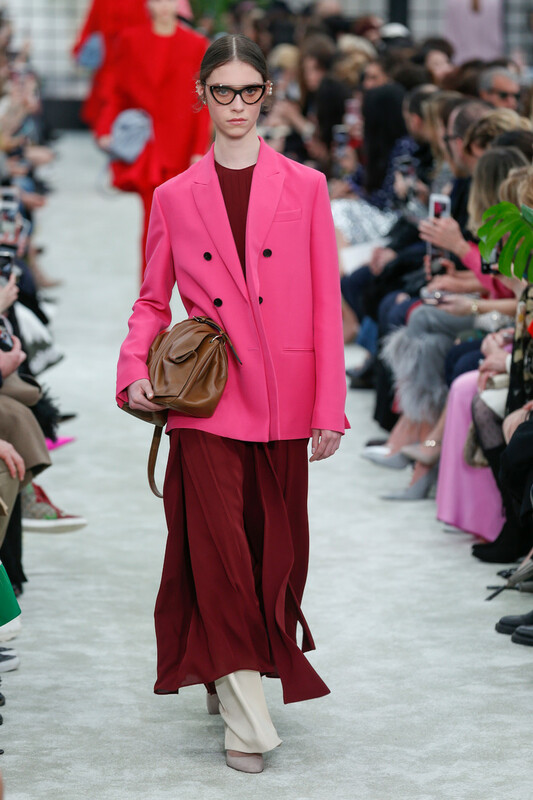 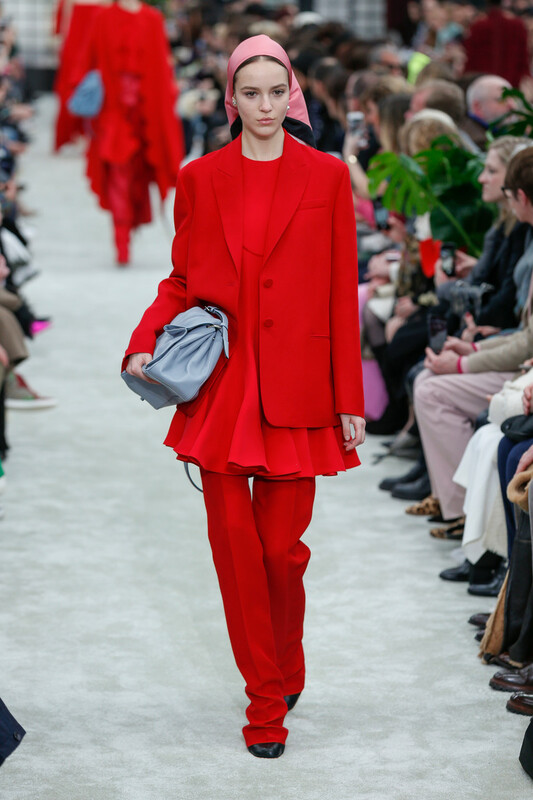 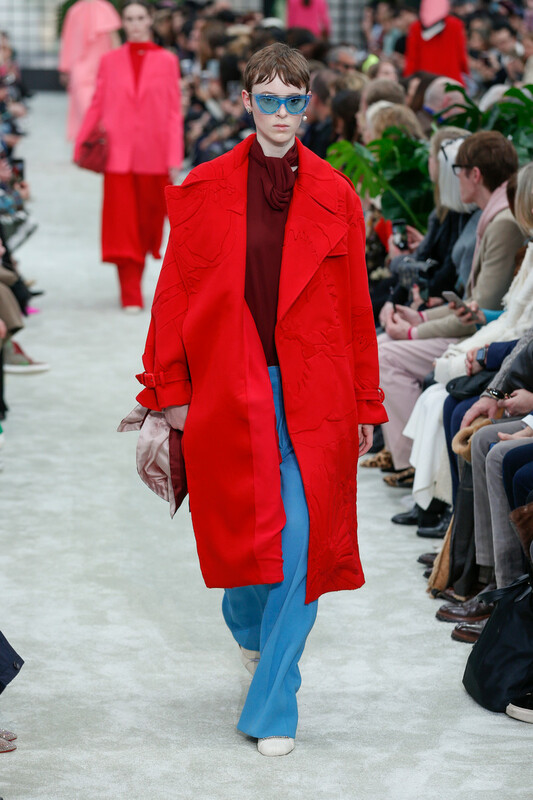 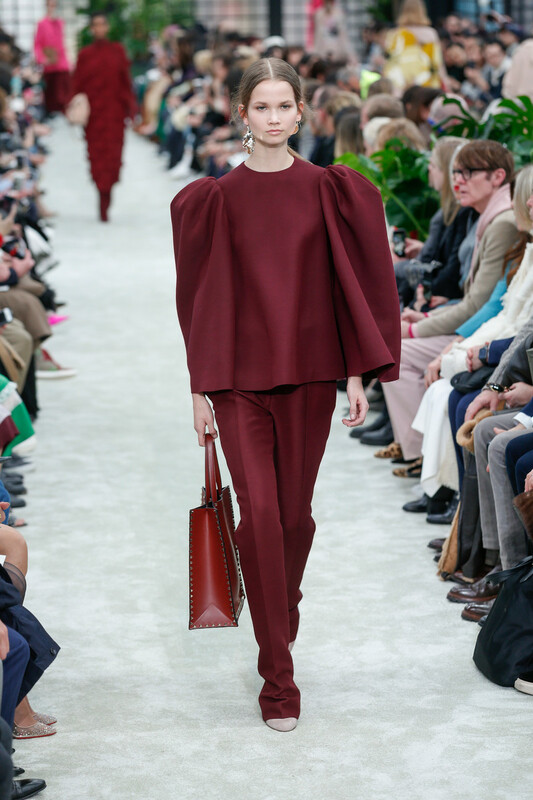 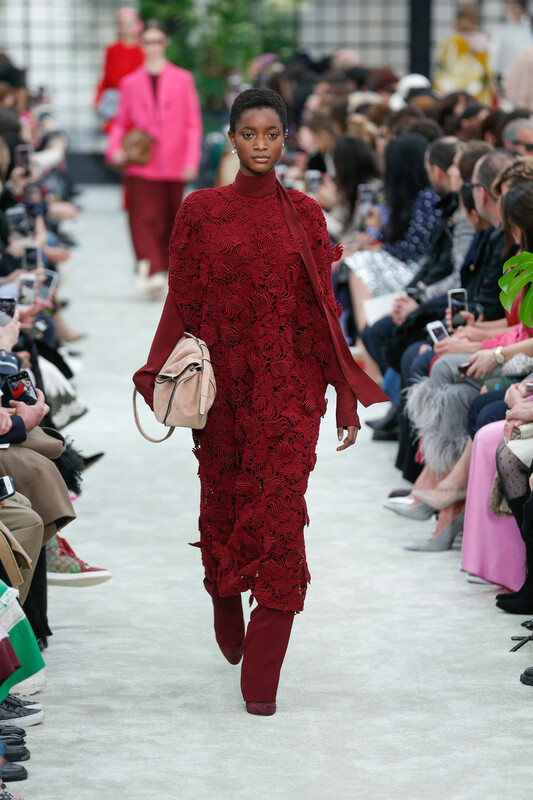 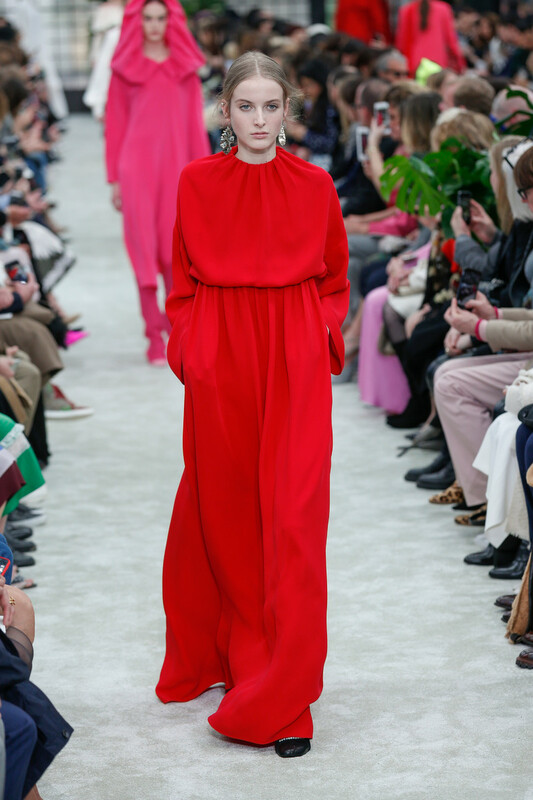 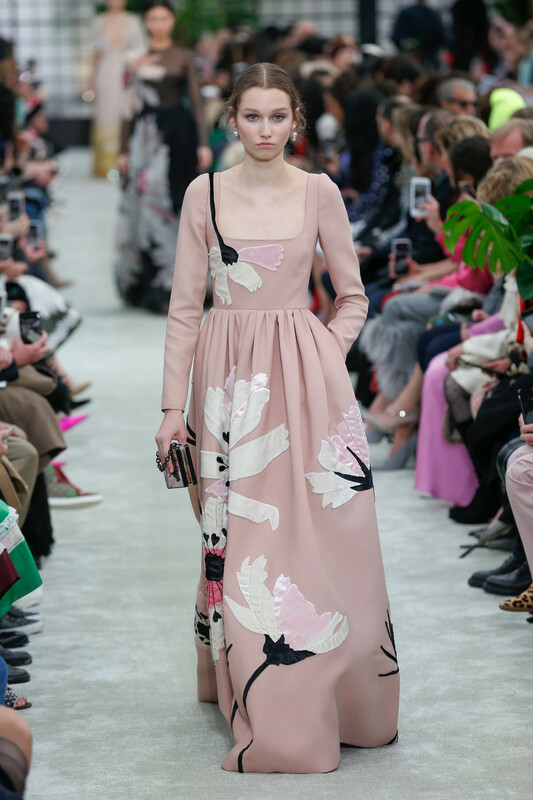 It was a true Valentino show in the sense of the large line up of long dreamy dresses, the use of the most beautiful materials and a Valentino red section in the middle. 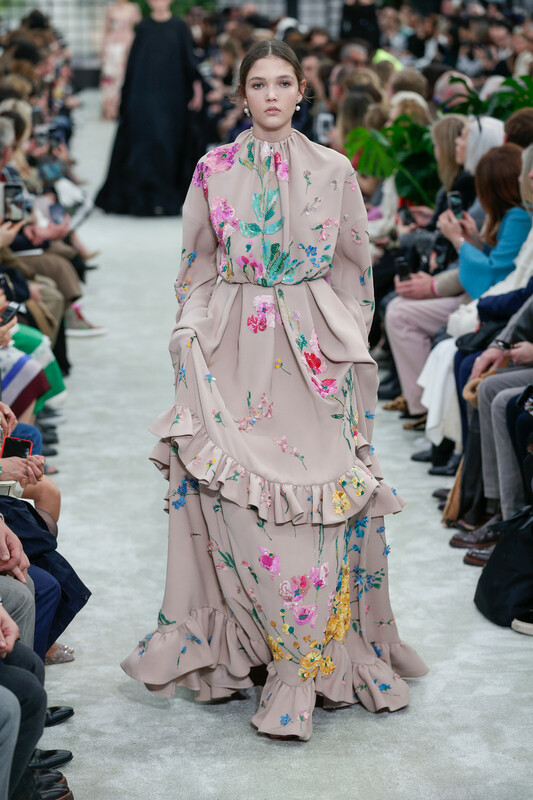 Yet there was so much more to this collection that felt fresh and unlike any other collection we’ve seen the last couple of weeks. 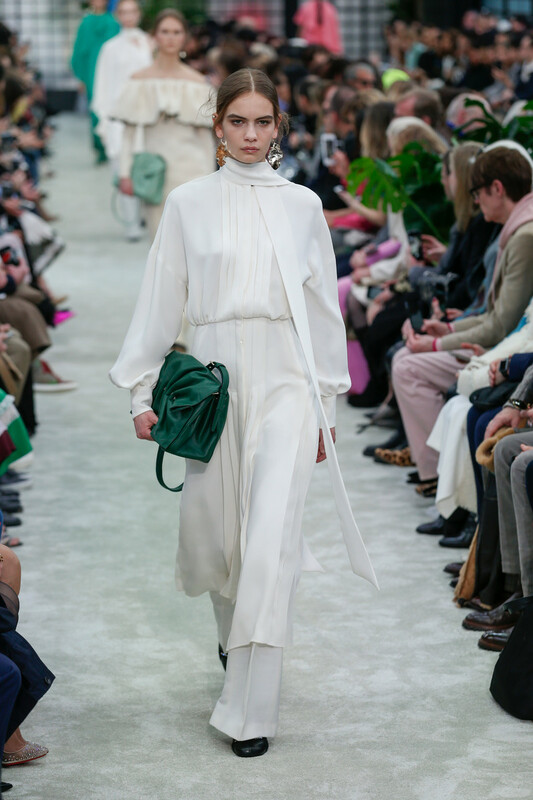 No pulling from the archives, no throwbacks to seventies or eighties, but just a new light shed on elegancy. 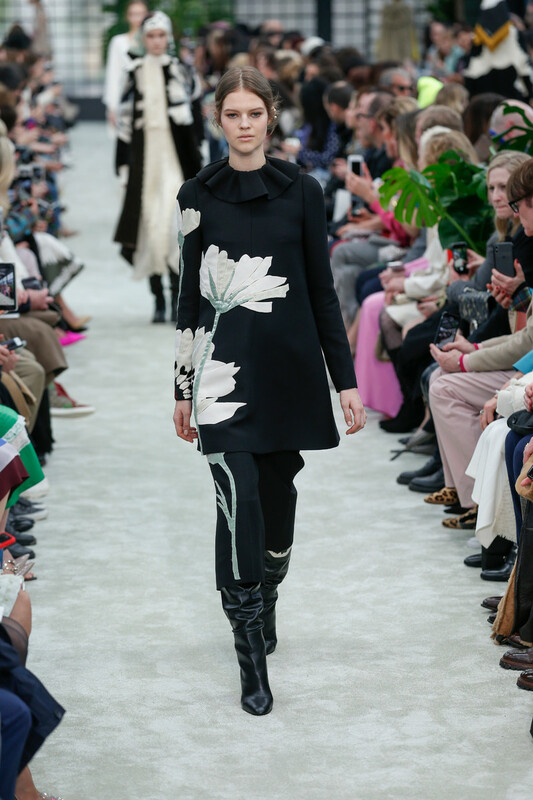 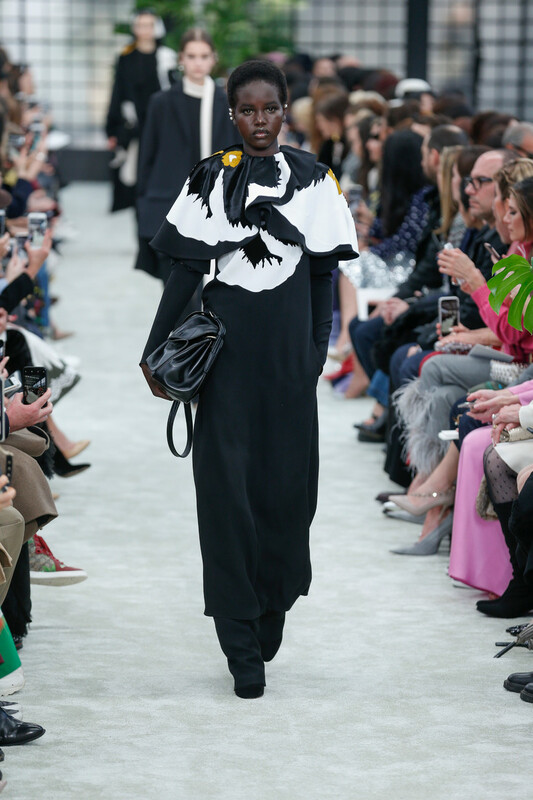 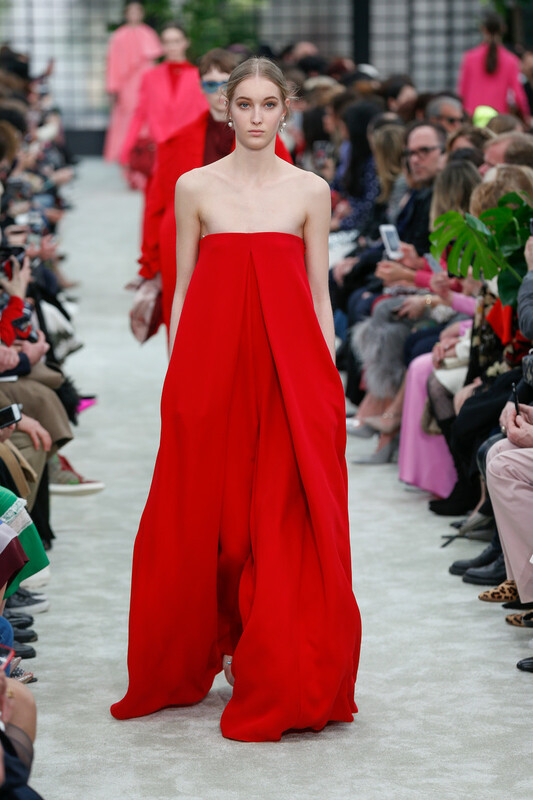 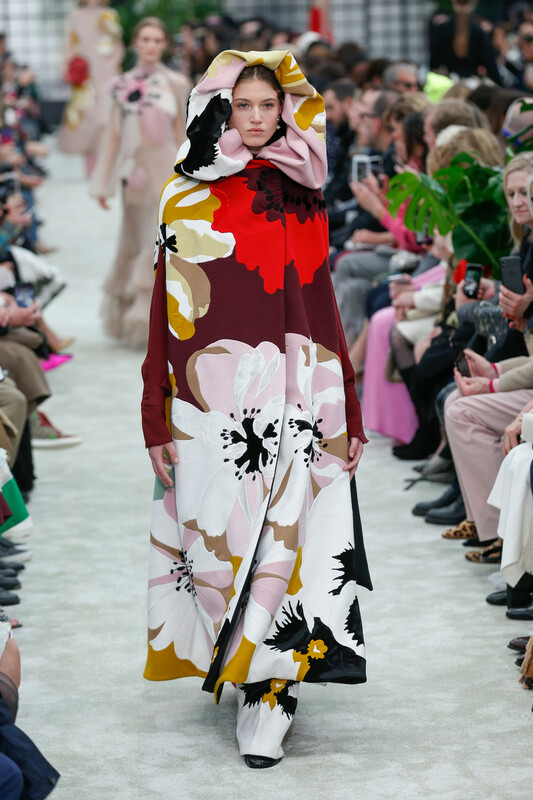 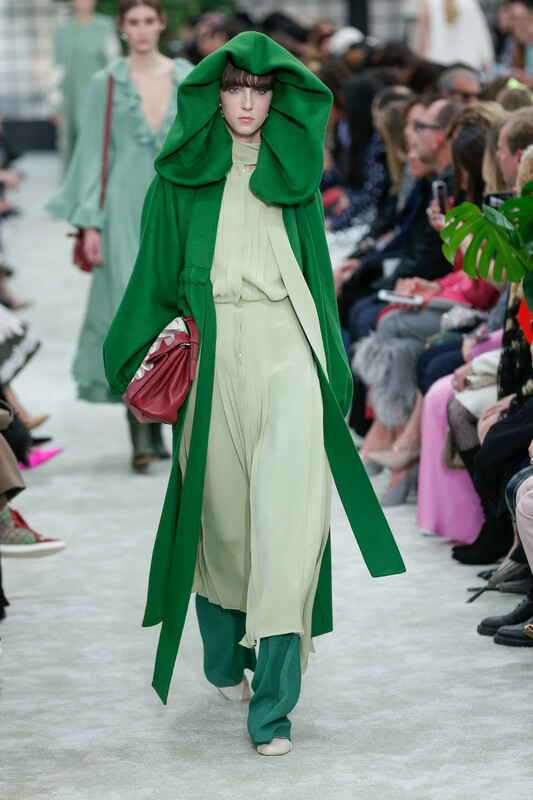 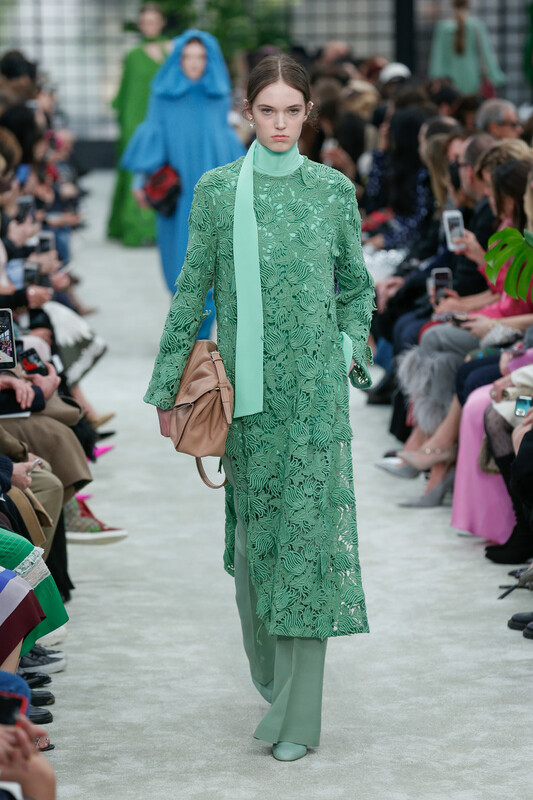 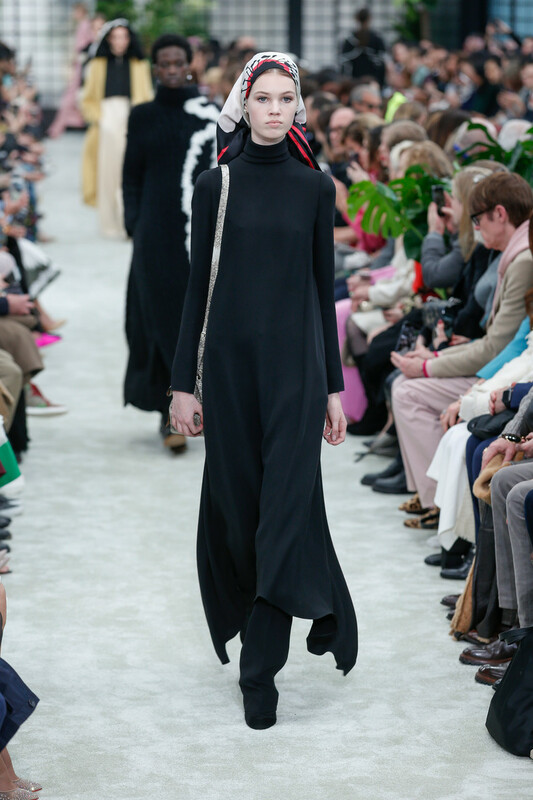 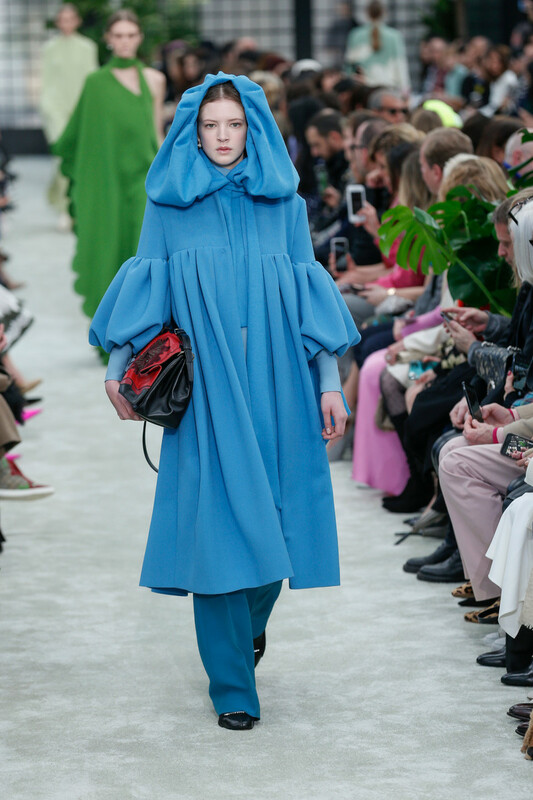 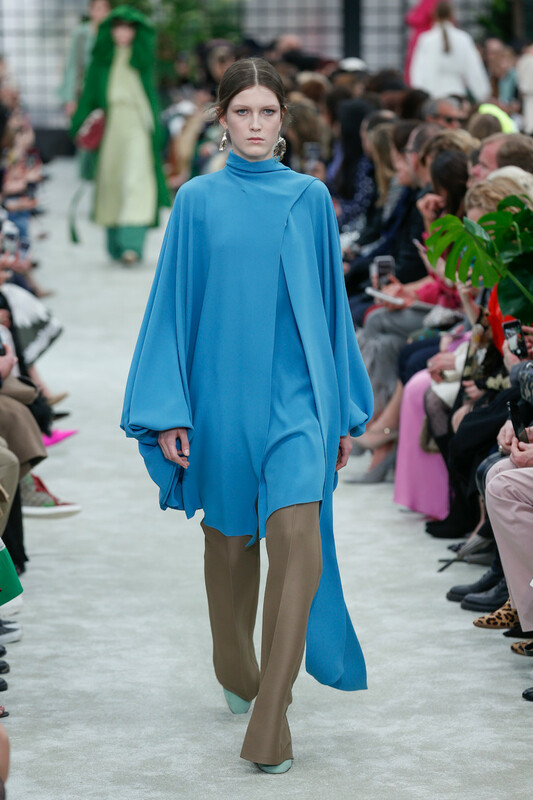 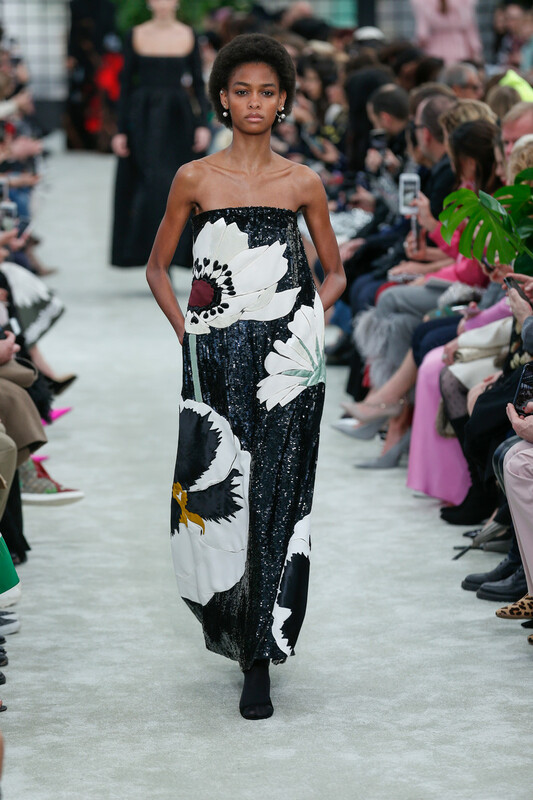 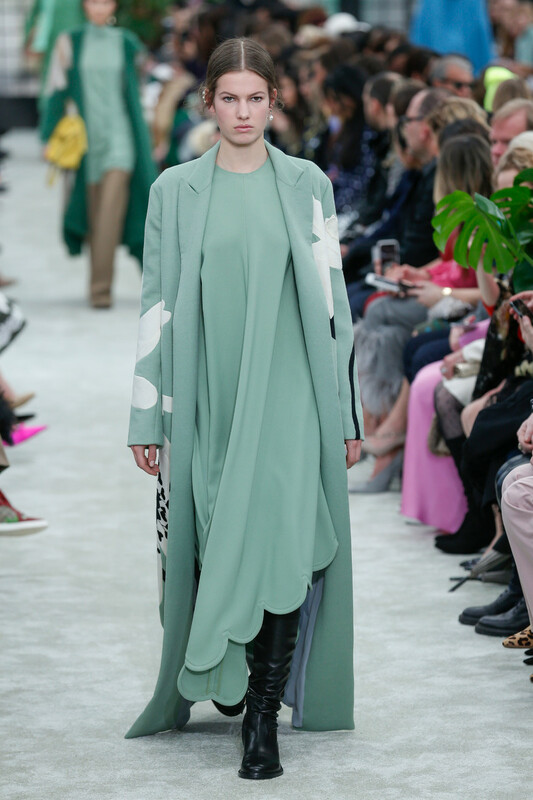 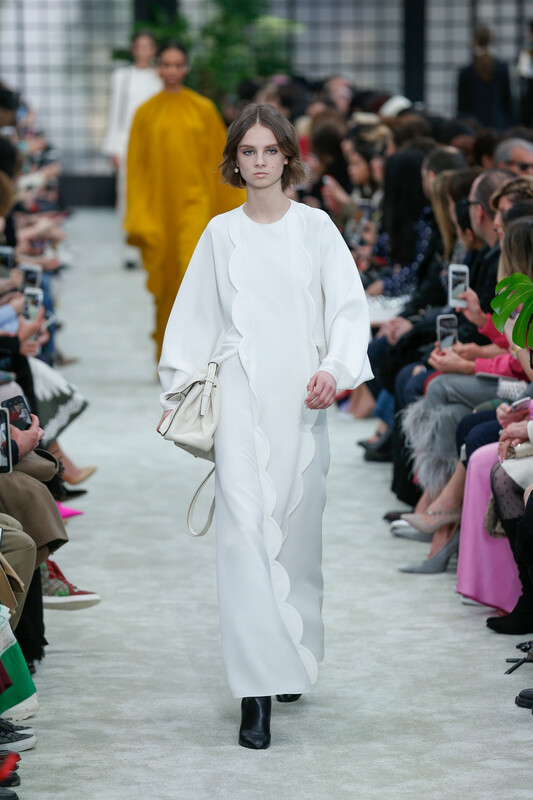 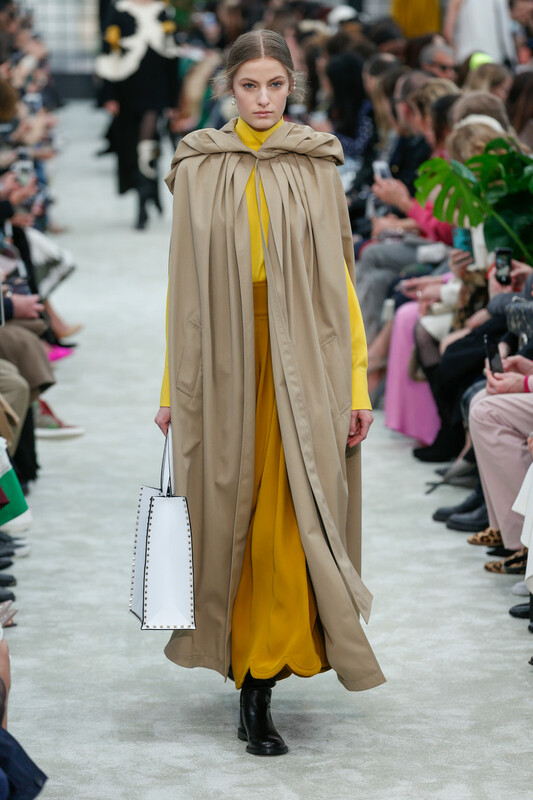 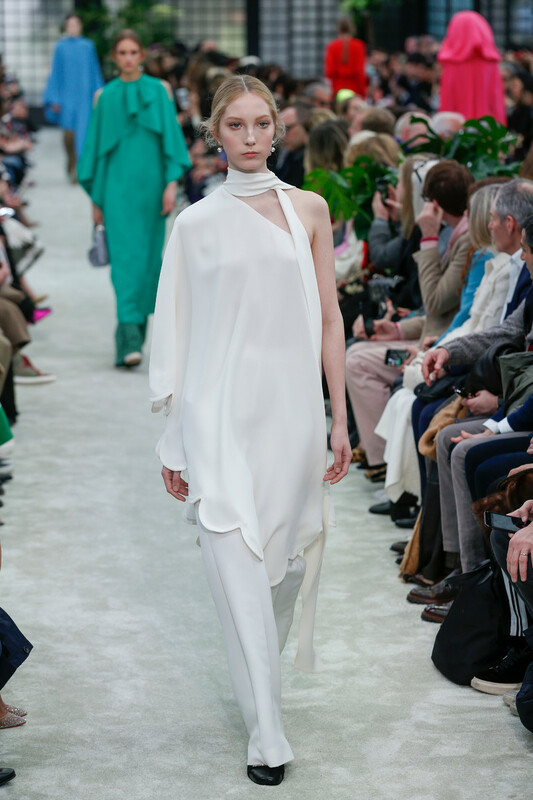 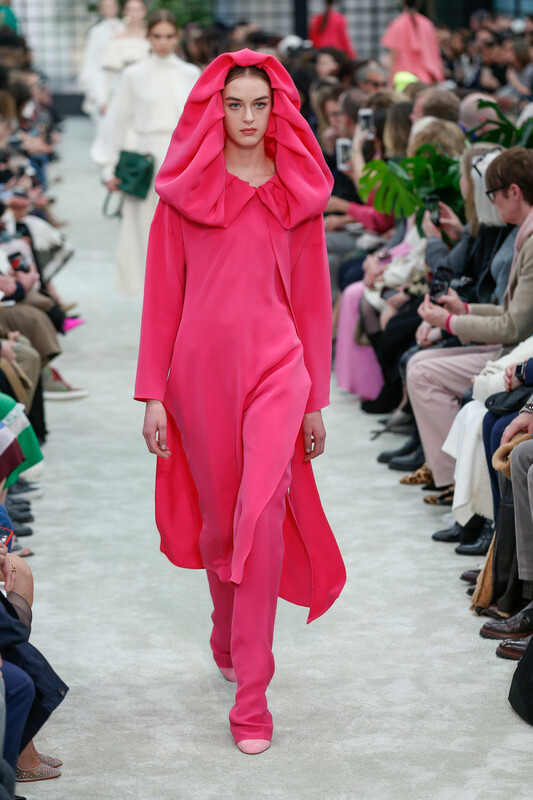 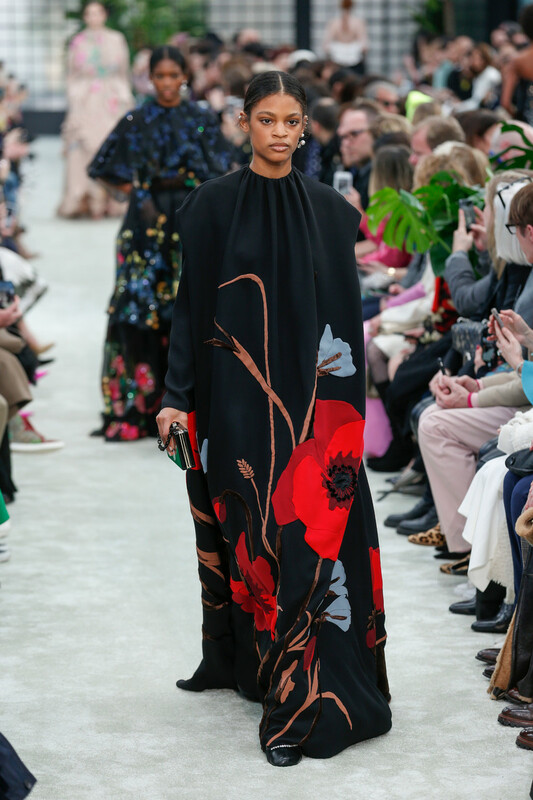 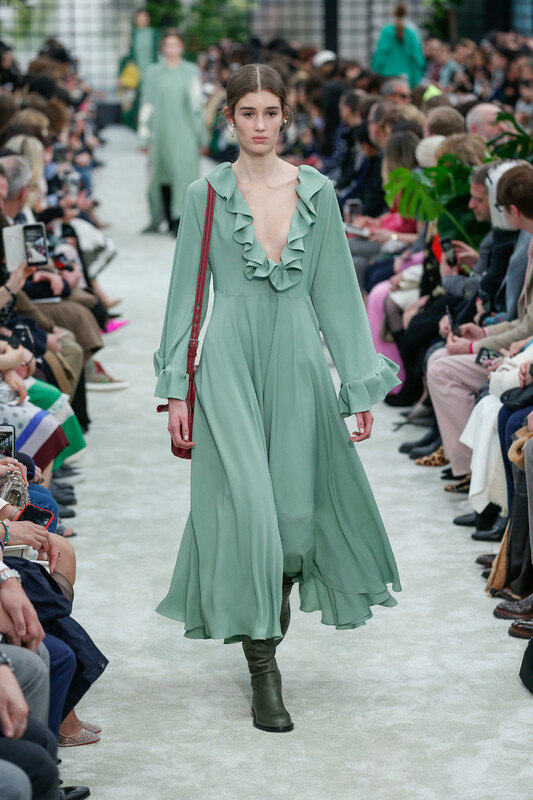 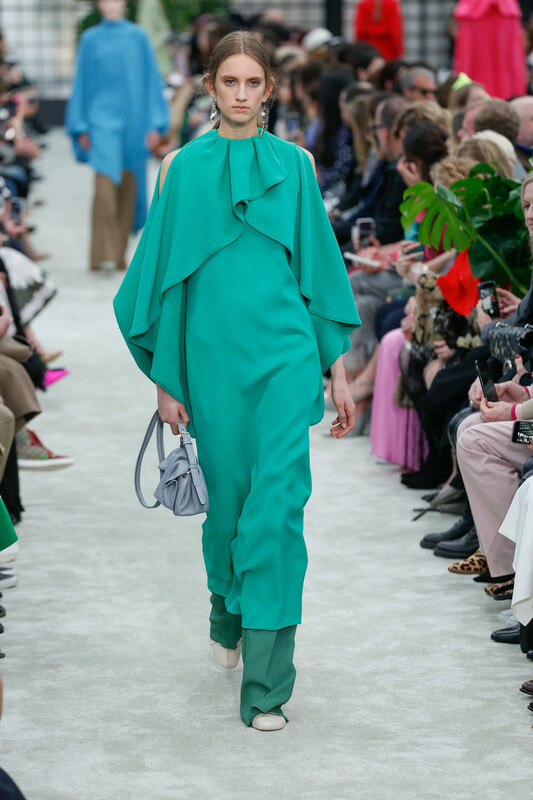 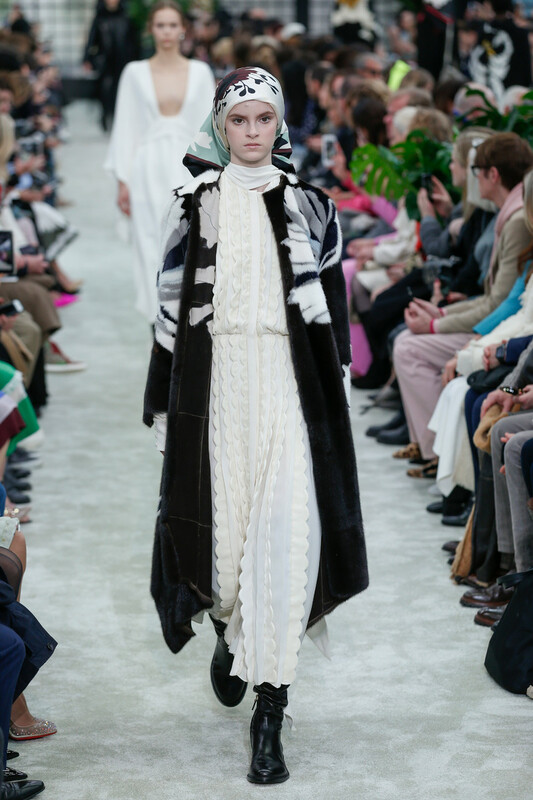 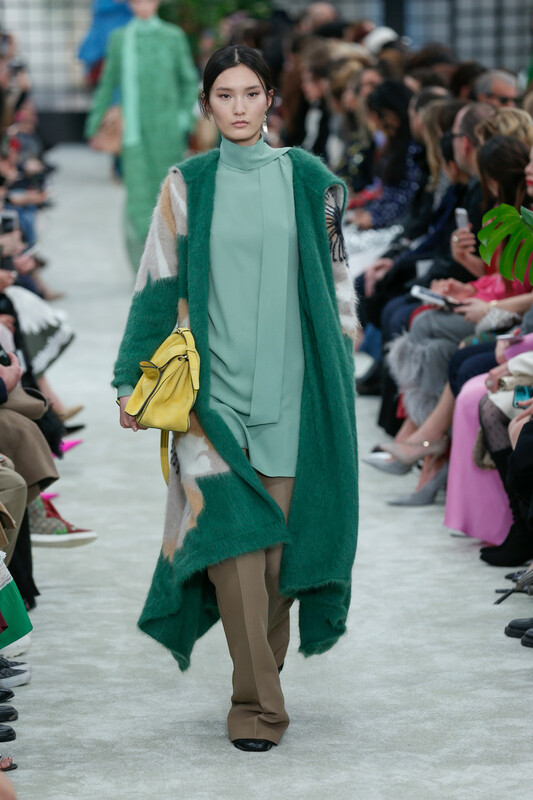 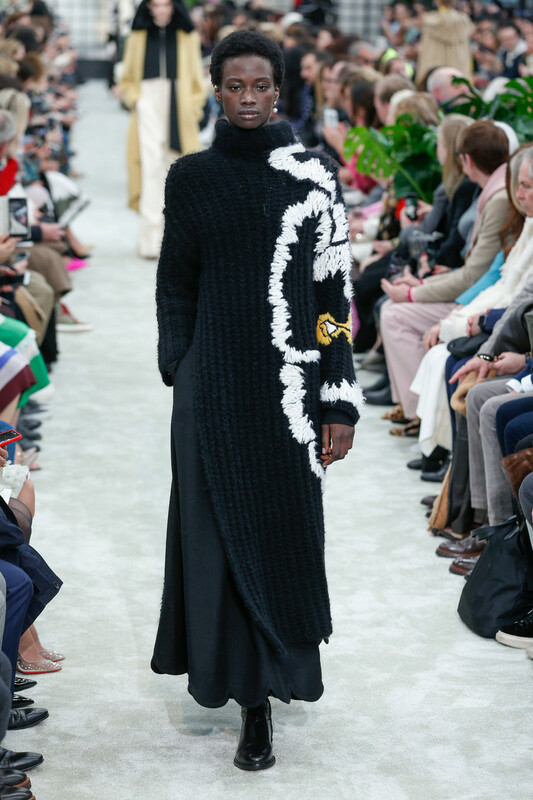 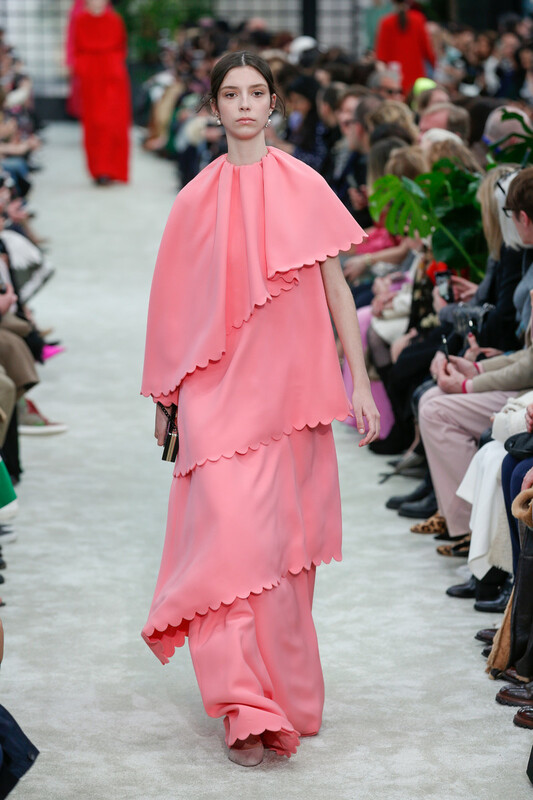 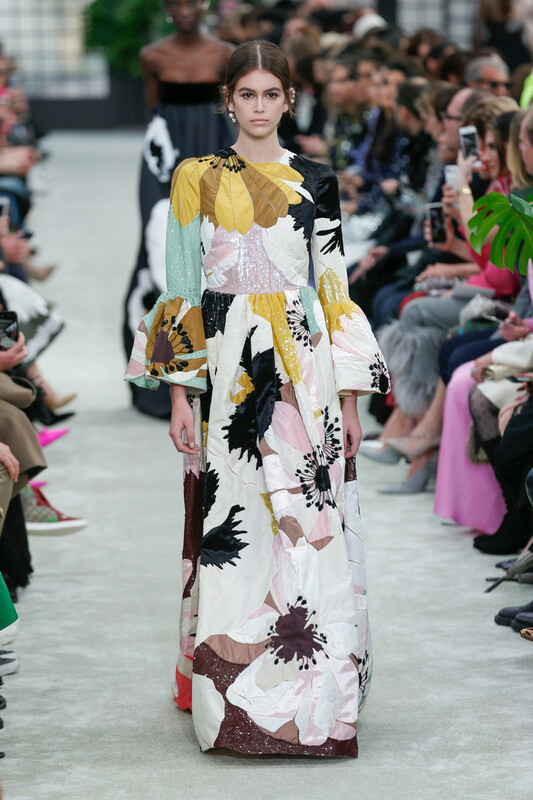 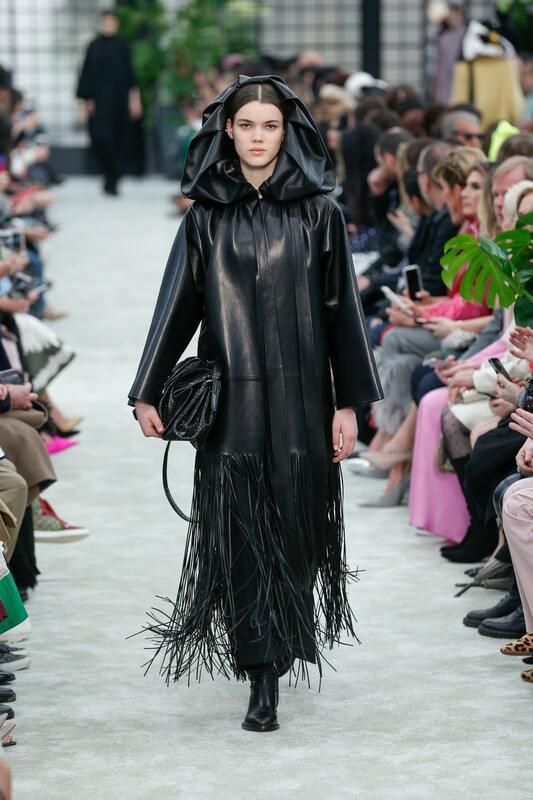 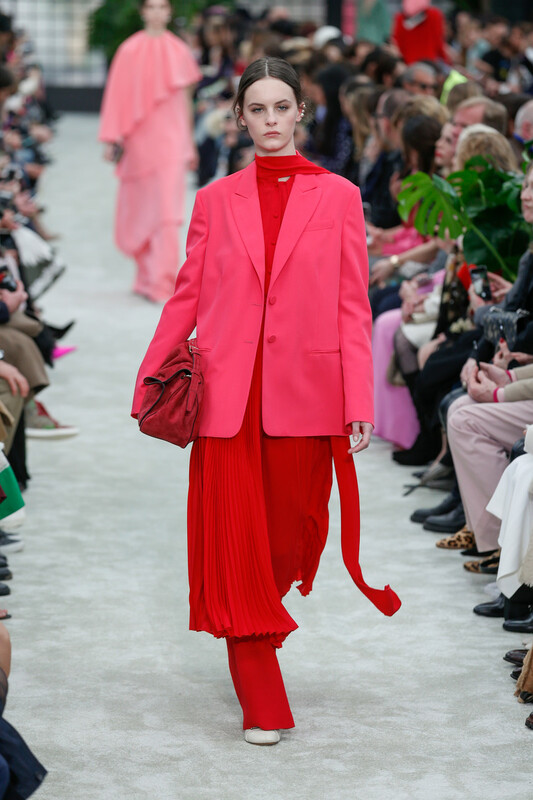 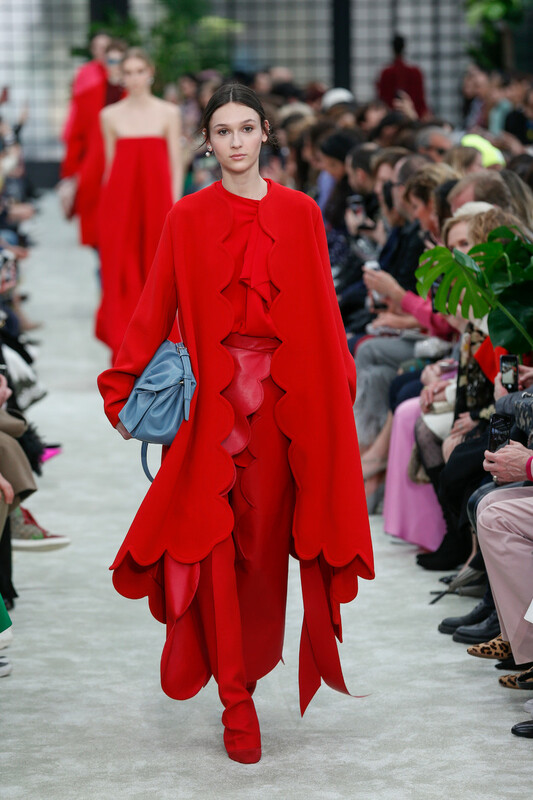 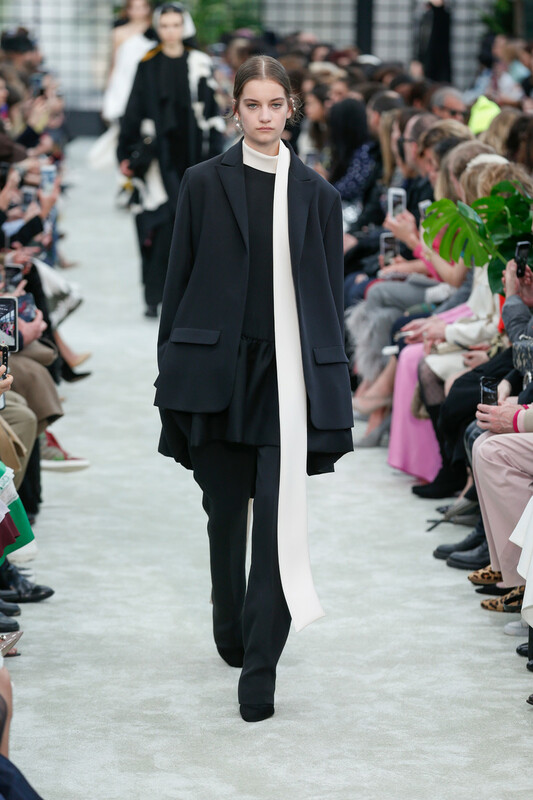 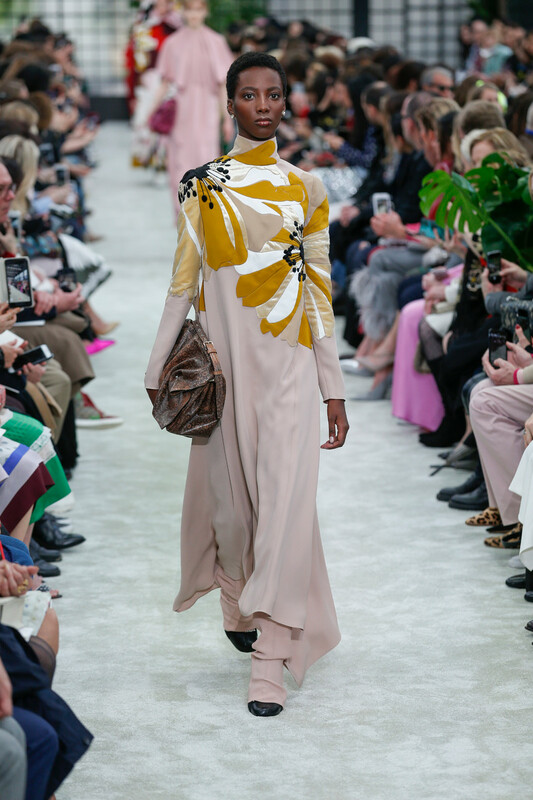 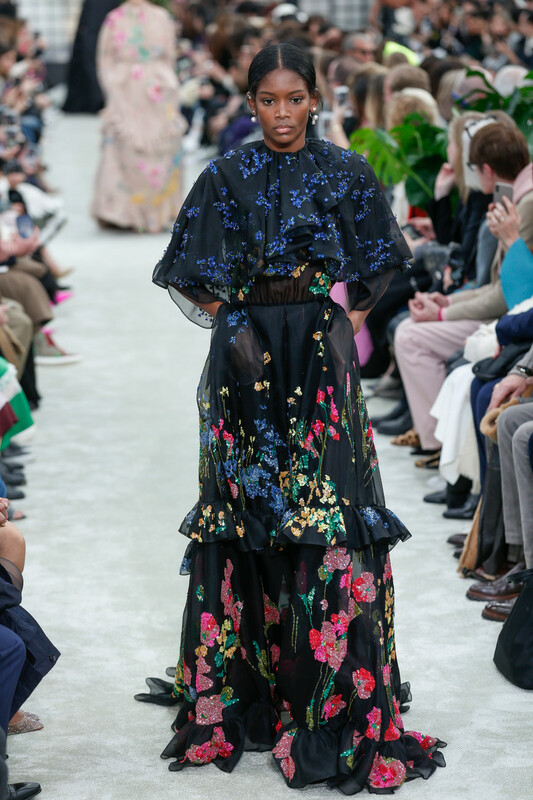 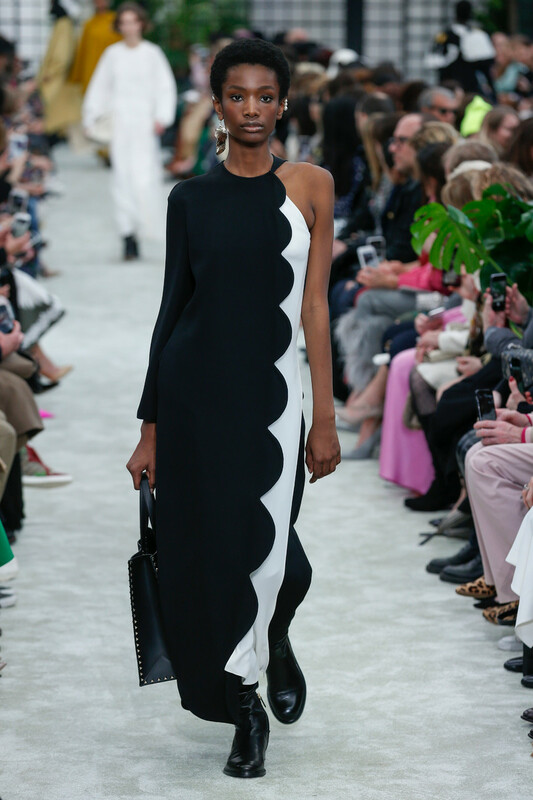 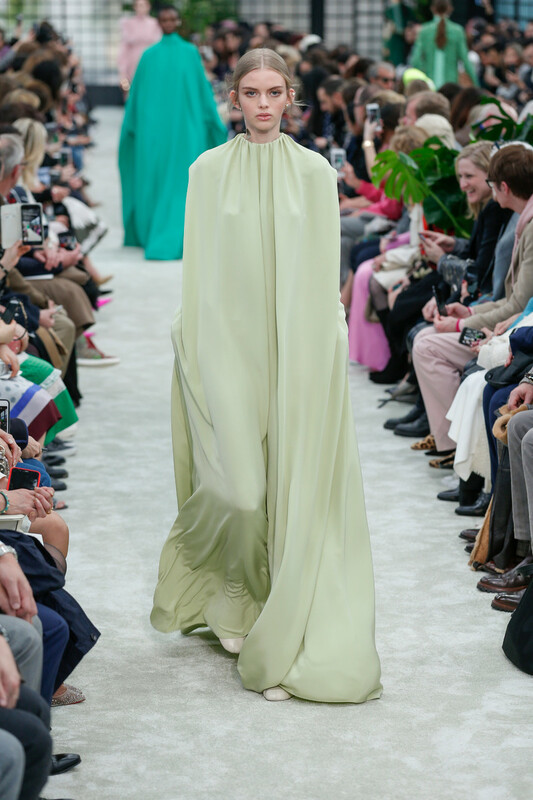 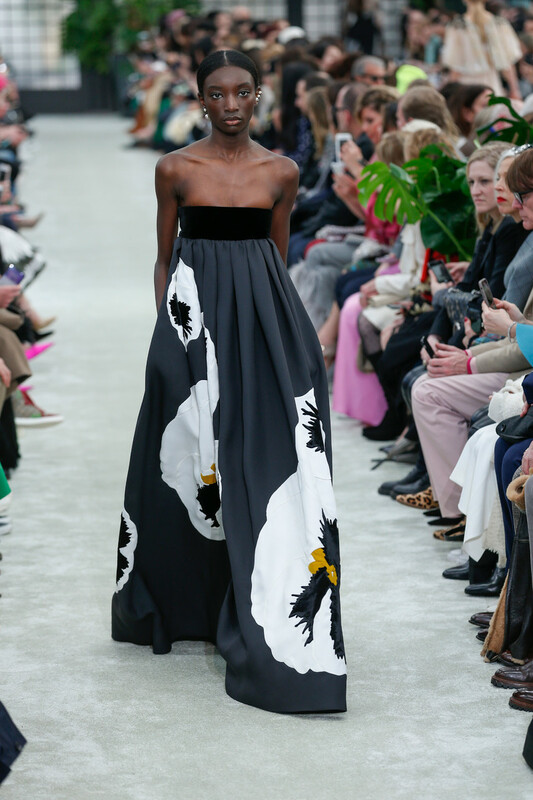 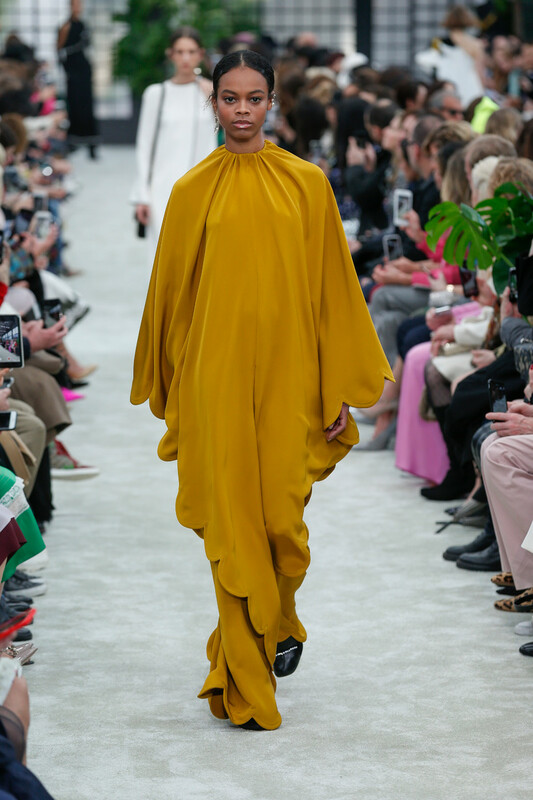 Long dresses worn over pants, capes and (riding) hoods, high collars and small scarves, strapless details, wide sleeves, flowing lines, floral appliqués and lots of ruffles painted the picture. 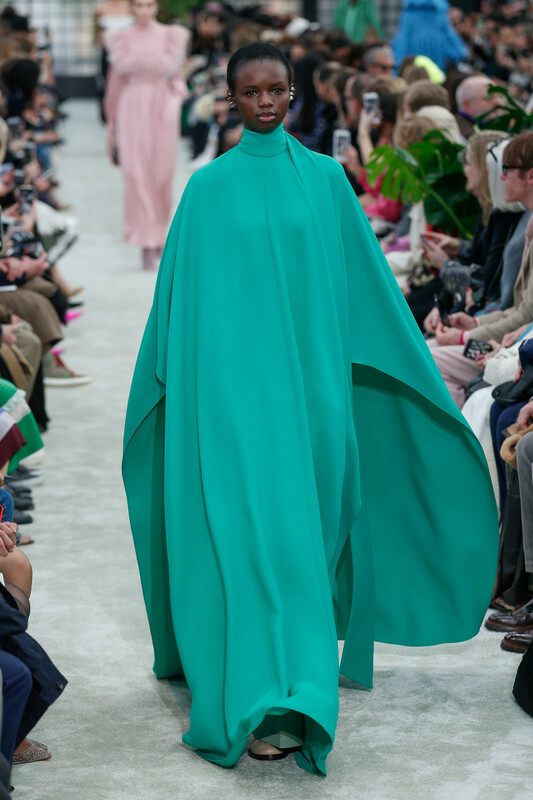 All of this done and created in the most beautiful color palette. 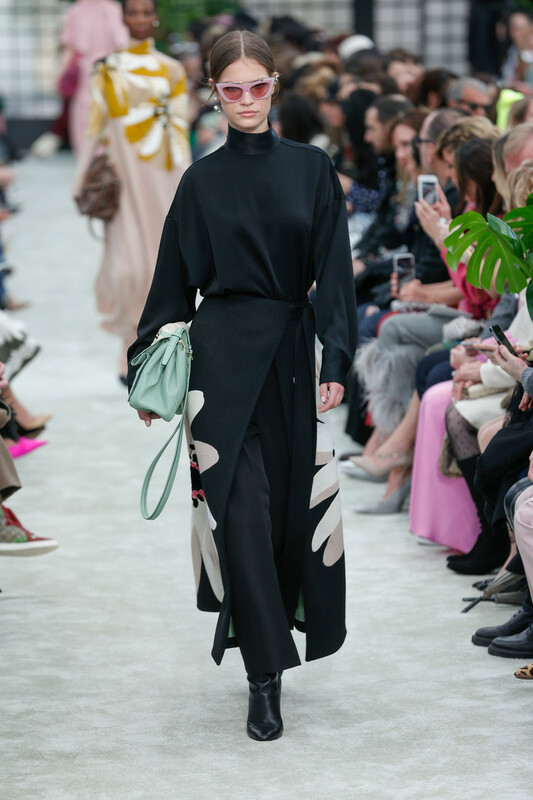 Fresh looking dream designs for the modern day woman of just about any age. 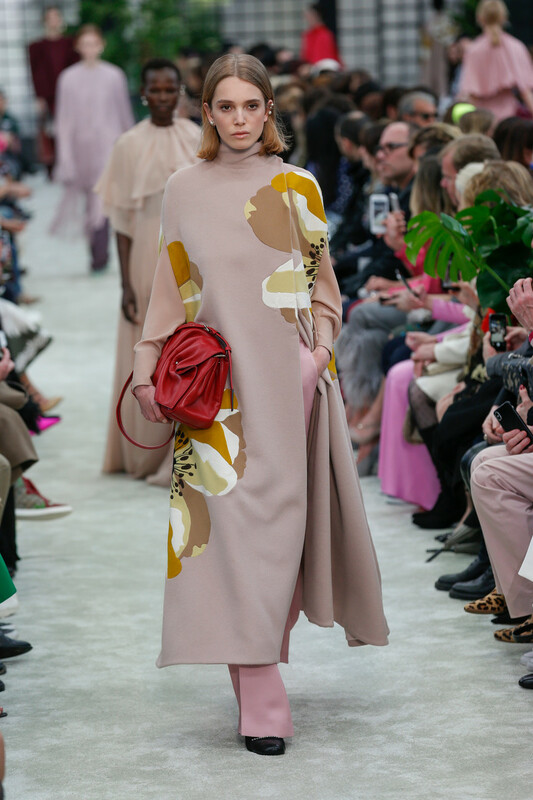 Valentino can be SO proud.